This placement was super close to my parents house so it was very nice to be in town every day after working on the farm. This farm owned quite a few horses that were leased out or used for riding lessons. They also have tons of different animals that are part of a petting zoo….ferrets, chinchillas, guinea pigs, parrots, cows, pigs, chickens, peacocks, goats, emus, alpacas, llamas, hedgehogs, cats, dogs! I was also lucky enough to do this placement with my best friend/roommate (its about time we did a placement together!). Each morning started with chores. Animals inside were taken care of first and stalls or pens mucked out. Then we grabbed the water truck and headed outside to all the outdoor animals. One of the problems with keeping animals outside in the winter is that you either have to have heated water containers (so no ice can form) or you have to go around and break all the ice out of the containers before filling them up! We brought a hammer to break up ice. At this point, I became pretty good friends with one of the parrots who rode around in my hood to stay warm. All the animals outside received extra bedding or grain to help them keep warm when it snowed. Many of the horses wore thick blankets as well. Some animals require more specialized feed. For example, the guinea pigs received extra vitamin C and D in their water because they are prone to deficiencies. There were 3 older horses who had a hard time eating hay and getting enough energy so we brought them inside every day and gave them a mixture of grain and beet pulp. Horses were ‘worked’ or ‘broken’ later in the afternoon. Often they spent a long time running around in a circle on the end of a lunge line. During one session the vet came out from a nearby equine clinic to look at an older horse that had tripped hard earlier in the week. I took a couple of minutes to chat to the vet about Metacam and how it is metabolized differently in the horse than other animals. My friend and I spent some time working with a pony. He will eventually be pulling carts and working with young kids so he needs to be quite comfortable with unknown sights and sounds. We ran him around in circles and over jumps. We also rolled barrels and a large exercise ball close to and over him. The pony was very uncomfortable with us touching his back and hind end. With some more work this pony will be well on his way to cart pulling! Another day we assisted with breaking a horse to a wagon. Last time this horse was hooked up to the wagon she freaked out and sat on the bar (a very dangerous situation)! We made sure to move slowly and calmly. First we pulled the cart around the horse so she could get use to how it looked and moved. Then we walked the horse around the cart. Lastly, we slowly hooked the horse to the cart and then walked beside her in the arena. The session went very well. We spent a lot of time grooming horses, sweeping the barn, organizing the tack room, watering down the arena (to keep the dust down), blanketing and moving horses, and oiling tack. Tack is oiled to ensure the leather stays supple, smooth, and in good condition so that it can be used for many years. On our last day of placement we worked on some worksheets about horse health, anatomy, and care. However, the highlight of this day was learning to ride English. Previously, all my riding experience has been in Western saddles so this was quite fun for me. A couple of staff members were working with a young horse–getting him used to being ridden and the commands he needs to follow. My friend and I were riding older horses in the arena so the young horse would feel less nervous. I had a lot of fun being around (and learning about) the huge assortment of animals at this farm. Thank you for the opportunity! A little while ago my whole DVM1 class packed up and went out to the University of Melbourne’s Dookie campus as part of our Animal Health and Production Systems class. I was excited, because who doesn’t like a couple days without lectures? In the morning we caught the bus from our regular campus bright and early and began a drive out into the Australian country side. As we move from spring into summer, the rainfall has decreased and the pastures are not growing as fast and are beginning to dry up and turn yellow. 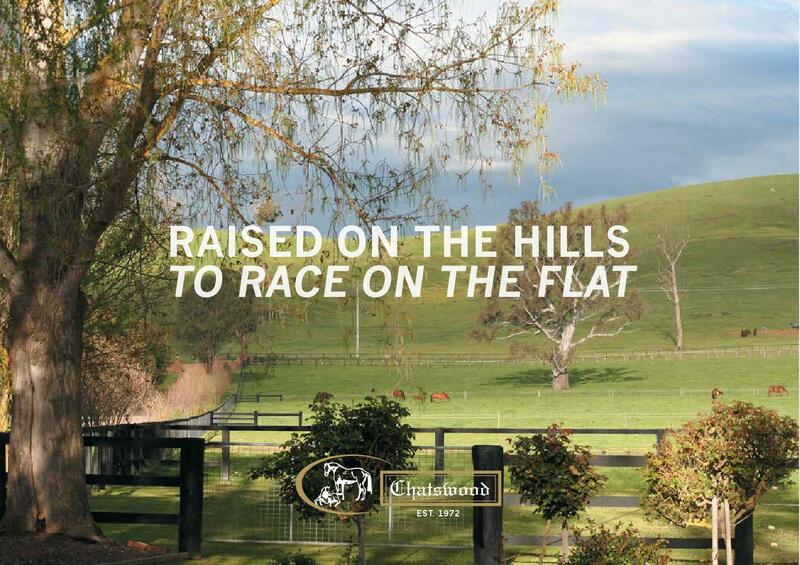 Our first stop was at Chatswood, a thoroughbred horse stud. A stud farm is a farm that focuses on breeding of animals. The horse racing industry is huge in AUS, especially in Melbourne. High class and very famous races like the Melbourne Cup take place only a few minutes from my house! Unfortunately the Melbourne Cup is on one of the same days as my final exams this year so it doesn’t look like I’ll be going. The farm was built on 1000 acres and is very impressive looking. We talked a bit about the process behind bringing mares to be served by 1 of the 3 stallions on the property and everything that process included. Thoroughbreds are only allowed to have natural breedings (instead of artificial insemination) and this brings along a new set of challenges and things to look out for. My group was lucky because we got to watch some vet checks on the horses, each horse would come in for an ultrasound to look for follicles on her ovaries. If the follicles are a certain size the vet will say she is ready for breeding soon. The ultrasound is also used to detect if the horses are pregnant and if they have twins. It is very hard for twins to be carried to term in horses and so if 2 embryos are detected one of them will need to be terminated. We also got to watch a Caslick procedure being preformed and undone (this is a very common and minor surgical procedure that equine vets will do). Our group then went to the breeding area; it is very nice, clean, quiet, and covered. Here we watched a teaser stallion come in and prep a mare for her breeding. I then quietly peaked through a hole in the gate to watch Reward for Effort (one of Chatswood’s best stallions) breed the mare. Thoroughbred breeding on a stud is very expensive ($11 000 for a service) and an important procedure that can be very dangerous for the handlers. The foaling area has a 24 hour watch over all of the paddocks as each foaling is assisted. After each foal is born a blood sample is taken and assessed. Next we went to Kennedy Creek, which was our professor’s own polled Dorset farm. I found it actually really cool to create a connection between someone we are learning A LOT from in lecture and his actual life experience in agriculture. Dorset sheep are used for meat but not wool. This does not mean that they do not need to be sheared! The wool from these sheep would only generate an income of 5% or less for the farm. While on farm our prof (who is also a vet) identified a sick sheep. The animal was moved out of the hot sun to recover. The sheep was likely sick with either thiamine deficiency or pulpy kidney (no way to know unless diagnostic tests were done). While we were on farm the sheep began to improve and look better. Talking about this individual sick sheep was a great learning opportunity on the differences between single animals and herd health. The second day started at the sheep farm on Dookie Campus where we were able to assist with the marking of lambs. Marking included putting elastic on the tails of all sheep (tail docking) and testicles of male sheep (castration), vaccination (for Clostridial diseases), applying fly strike spray, and applying an ear tag for identification. After we were finished marking the lambs we went inside the shed to look at the rams. We discussed important things to assess at a ram sale (teeth, toes, temperament, testicles, and skin). We also spoke about crutching and muesling and the advantages and disadvantages of each husbandry practice. I thought it was interesting that Dookie is one of the only farms in VIC that does not muels their sheep; the practice was supposed to be banned in AUS around 2 years ago but fell through because of the fly strike problems. We practiced catching sheep and how to safely tip them over so we can look at them (always fun!). This is the same dairy we visited during my first week of vet school. Cows can be milked whenever they please, the robot will take a sample from each cow to test for infection and milk quality. The robot is able to keep track of all cows treated with medications and what the withdrawal periods. Detecting when cows are ready to breed is very complicated in the dairy industry—the robots can help with this too!! The robots will keep track of all the steps each cow takes (each cow wears a pedometer) and the amount of rumination/chewing to create a graph that will give a good indication of when the cow is in heat (ready to breed)!! How cool is it to see science and farming come together like this?! Some of my absolute favorite memories in life have been made while interning or volunteering. I absolutely love it and this weekend I had the opportunity to volunteer at the Royal Melbourne Show! The RMS is like a huge carnival with trade shows and games and food and lots of different pavilions. I signed up to work in the Heritage Sheep Exhibit for 2 days. My time was spent making sure the sheep had enough feed and water all day and were not being stressed or abused by any onlookers. I was also able to answer the questions that members of the public had regarding the exhibit, breeds, and sheep farming in general. Most people were quite excited to hear my accent and asked about my background in agriculture in Canada. My supervisor and I were required to keep the area neat and tidy and free of all escaped bits of straw—this included some frustrating sweeping between the legs of thousands of people! All of the sheep came from different breeders and so they were not allowed to intermingle. The Cheviots were very sweet and appreciated a scratch behind the ears. The two Shropshire lambs required bottle feeding a couple times a day; their names were Pickles and Beeper. Meet a Dorset Horn with a stubborn personality! At the end of my second shift we had to muck out all the stalls. For those who don’t know, this means that we had to take a pitch fork and pick up and remove all the heavy soiled straw from the pens and sweep it out into large piles to be removed. We then had to break up new bales of fresh straw and lay this down as clean bedding in each pen before the sheep are allowed their supper. This is hard work, especially when you have to watch the sheep don’t escape! By the time I got home that night my boots had been stuffed FULL of straw (which promptly exploded all over the hall of my apartment)! Good thing my vacuum cleaner is broken! I did hear a few rumors that the Heritage Sheep Exhibit might be on its last legs and be non-existent in a few years. This is heartbreaking news to hear as ag education is something very dear to my heart. I think it is SO important for society to be exposed to livestock, farming, food, agriculture, etc. People need to be educated on where their food comes from and how it is produced. Amazing shows like this provide a fantastic learning opportunity for curious people to learn more about something they are unfamiliar with. Since the wool industry is massive in Australia I think it is very important that exhibits such as this one remain in place! I had a fabulous experience volunteering in the sheep exhibit; I was able to pick my supervisor’s brain, get some hands on experience with sheep, practice my agriculture/public engagement, and do some networking. I love making connections and I’ve met some very kind and helpful people this weekend. I hope to be back working at the show next year. This is Bob Marley who is an English Leicester.